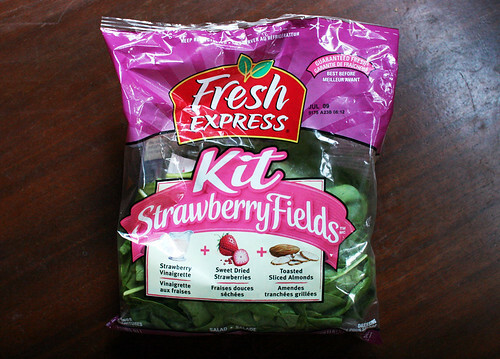 My getting-back-into-eating-salad salad was this fancy Strawberry Fields kit, which came with toasted almonds, strawberry vinaigrette and sweet dried strawberries. I was reminded by my coworkers of the pathetic-ness of eating dried strawberries at the height of strawberry season. But oh well, this was 30 seconds faster to make.